Sitting atop Iron Mountain and in the heart of the Rocky Mountains, Glenwood Caverns Adventure Park is one of the best ways to experience the unique terrain of Colorado — above and below. Accessed primarily by gondola, the park sits 7,100 feet high in the air on the mountain. Home to the first alpine roller coaster in the United States, it also has the highest-elevation full-size coaster, a canyon swing, and multiple zip lines. These thrilling rides launch visitors out over the Glenwood Canyon with incredible aerial views of the surrounding mountains. For those who prefer their thrills to be below ground, there are also extensive tours of the area caves and geological formations. Though the park is focused mostly on adventure and thrills, it also has plenty of family-friendly activities. There are movies and live entertainment, kid-friendly rides, and laser tag that are all suitable for younger children. The two cave tours are consistently named some of the best in the country. Tours often combine park entrance with cave tours and the scenic tram ride. 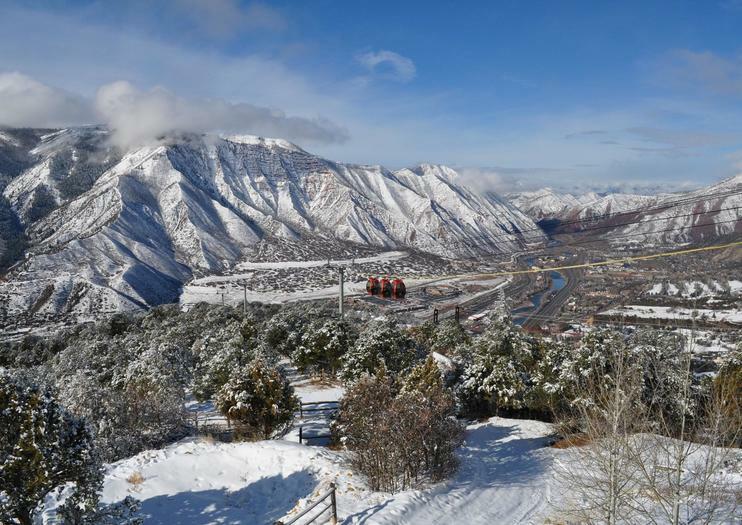 Located in Glenwood Springs, the adventure park is off of I-70 between Vail and Aspen. Parking is available at the tram entrance. Cave tours can accommodate most all fitness levels, though some attractions are only open seasonally. The park is typically open from 10am-8pm, though hours can vary so it’s best to check their website before visiting. If visiting in winter, you’ll want to dress warmly in clothes suited for cold temperatures.